On Thursday, July 19, 2018, two teams that are battling for play opposition square off. Both of these teams are 13-9 and tied for fourth place in the WNBA. Both teams are 3.5 games out of first place in the league. Washington enters this contest as winners of six of their last 10 games and they are 5-4 on the road the season. The Mystics are 9-3 in the conference. Washington is averaging 84.5 points per game while giving up 82.1 PPG. They are shooting 44.2 percent from the field and 36.0 percent from three-point range. Meanwhile, opponents are shooting 45.4 percent and are shooting 34.3 percent from three-point range. The Mystics are led by Elena Delle Donne, who is averaging 20.6 PPG. She is shooting 46.7 percent from the field and 37.2 from three-point range. Delle Donne also leads the team was 6.9 rebounds per contest on average. Second on the team in scoring is Kristi Toliver, who is averaging 14.0 points per game, but this is a team that doesn’t have a lot of firepower. The coaching staff uses a deep bench, with nine different players averaging at least 11.6 minutes per contest. Dallas is 8-3 at home this season and they are 7-3 in their last 10 games. The Wings are 6-8 in the conference. Dallas is averaging 87.9 PPG while giving up 81.6 PPG. They shoot 45.1 percent from the field and 31.3 percent from beyond the arc. Opponents are averaging 42.1 percent from the field and 33.1 percent from three-point range. Liz Cambage is averaging 21.4 PPG to lead the team, as well as averaging 9.2 RPG, which also leads Dallas. She is shooting 58.7 percent from the field, the best average on the team. Sklar Digginis-Smith is second on the team in points with a 19.0 average. Karima Christmas-Kelly is the team’s best shooter from beyond the arc, averaging 44.4 percent. Diggins-Smith is the leading playmaker with 6.5 assists per game. Mystics are 4-1 in their last five games against the spread following a loss. Mystics are 7-2-1 in their last 10 games against the spread on the road. Mystics are 1-4-1 against the spread in their last six games against Western Conference opponents. Wings are 4-0 in their last four games at home against the spread. Wings are 4-0 in their last four games against the spread against Eastern Conference opponents. Wings are 6-1 in their last seven games against the spread. 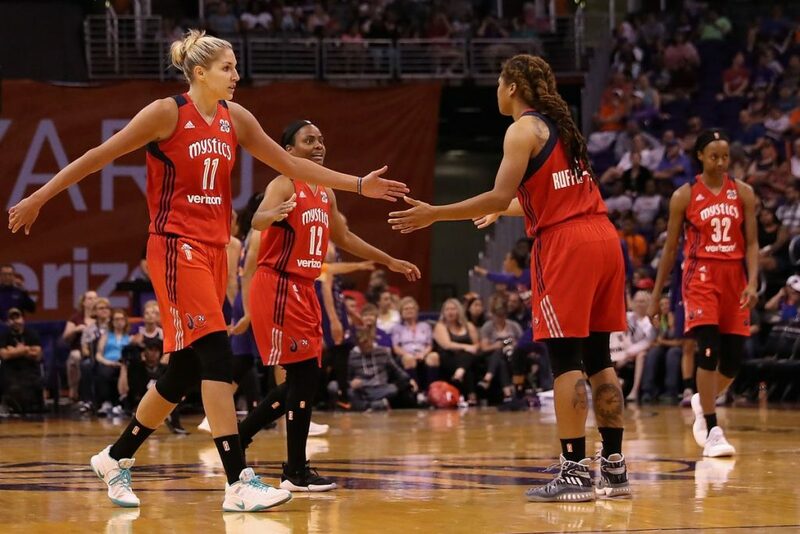 In the last six meetings between these two teams in Dallas, the Mystics are 6-0 against the spread. The total has gone over in five of the last six meetings between these two teams in Dallas. The smart bet is to go with Dallas to when the contest but not to cover the spread. Take the Wings to win, 91-88.